Brain health, cognitive learning and retention is a growing concern for aging adults. Many adults find a decline in their ability to learn new information, retain that information and access memory recall as they age. Memory loss, dementia and Alzheimer’s is higher in women than in men This is a concern for any individual since your quality of life and maintaining an independent lifestyle depends to a great extend on your cognitive retention and ability. Furthermore, for those of us who have watched the slow demise of loved ones with neurological disorders like dementia, we want to do all we can to optimize our brain health. When you learn something new your brain stores that information by forming new connections between neurons called networks. To access these networks the brain uses synapses which are the connections that allow one nerve cell to communicate with another nerve cell. When the synapses are diminished, stored information in the brain cannot be readily accessed and memory impairment evolves. This deterioration, or loss of, synapses is believed to be the cause of “age dependent memory decline”. Magnesium enhances the activity of more than 300 enzymes and plays a critical role in synaptic plasticity (the storing and accessing of information in the brain). This means that magnesium plays a fundamental role in the neurological process of learning and memory. One specific form of magnesium, magnesium threonate, was discovered by a group of MIT scientists, and later patented as Magteina. This compound has the unique ability to permeate and enhance the synapses and increases the levels of magnesium in the brain. Magnesium threonate is a chelated magnesium which effectively crosses the blood-brain barrier and positively impacts synapses. This form is not natural and cannot be found in foods. A research study published in the Journal Neuron, Enhancement of Learning and Memory by Elevating Brain Magnesium (1), showed that magnesium threonate enhances learning abilities, working memory, short term memory, long term memory and quality of sleep. Regardless of your age it’s important to take measures and create a lifestyle that will slow the aging process of your brain. What you don’t use you may lose, so it’s important to keep your brain active. Brain activities stimulate new connections between nerve cells and help the brain generate new cells. This builds up a functional reserve that provides a hedge against future cell loss. So, keep learning! An article in the Journal of Alzheimer’s Disease, How Does Exercise Reduce the Rate of Age-Associated Cognitive Decline?, states that the positive impact of regular exercise on cognitive function has been substantially supported. Exercise spurs the development of new nerve cells and increases the connections between brain cells (synapses), allowing your brain to be more efficient, plastic, and perform better. Regular exercise can positively influence cognitive ability, reduce the rate of cognitive aging, and even reduce the risk of Alzheimer’s disease (AD) and other dementias. Proper nutrition is important for your brain health. National Health and Nutrition Examination Survey revealed that a diet with a high percentage of fat (olive oil) is associated with better processing speed, learning and memory while lower processing speed was associated with a diet that favored higher carbohydrate foods. A recent study in Scotland, published in January 2017, showed that eating a Mediterranean Diet has a positive impact on the brain. As we age, the brain shrinks and we lose brain cells which can affect learning and memory. Neurologist, Dr. David Perlmutter emphasizes that diet is very important to brain health. The Mediterranean Diet consists of eating whole fresh vegetables, fruits, nuts, seeds, legumes, potatoes, whole grains, breads, herbs, spices, fish, seafood and extra virgin olive oil. Eat in moderation poultry, eggs, cheese and yogurt. A UCLA study shows the direct relationship between healthy gut and the brain, which includes the brain areas of emotion, cognition and sensory-related. The best probiotic I have found has a protective coating that ensures 70% passage through the stomach so that the majority of good bacteria is delivered to the intestine where it’s needed. In addition, the probiotic contains Wellmune which attaches itself to and kills unwanted yeast. Click here for more information. Studies have tied early dementia and Alzheimer’s Disease to oxidative stress and inflammation. Most people take direct anti-oxidants like vitamin C, vitamin E and foods like blueberries. However, studies show that taking direct antioxidants like these only increase oxidative stress. The best way to decrease your oxidative stress is to make them yourself. The most advanced Nr2 activator on the market is all natural and turns on your genes that create your body’s own antioxidants while also decreasing inflammation. 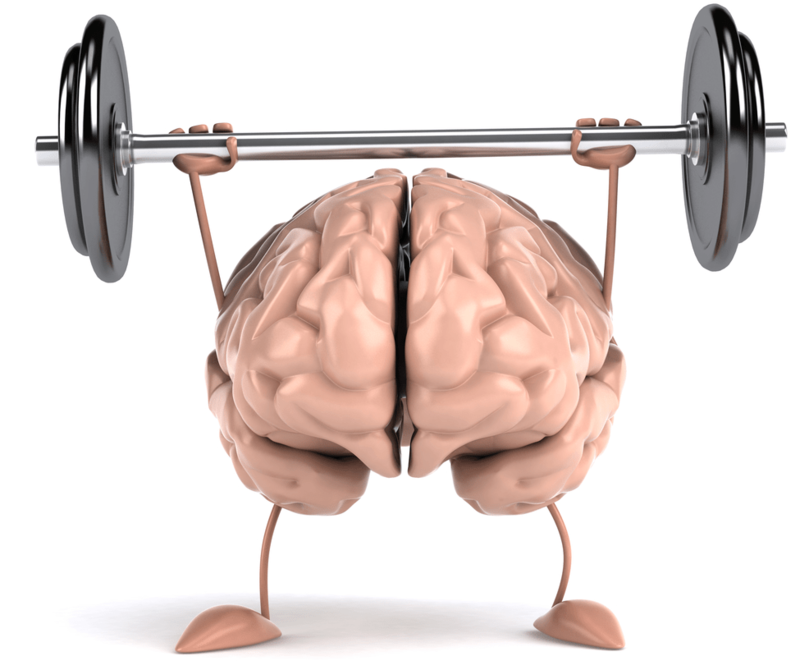 The most important antioxidant for brain health is glutathione. This product increases your glutathoine production 300%. Check out more information here to take control of your oxidative stress! Of course, we’ve already covered the importance of Magnesium threonate supplementation with Magteina. PS: Do you have the health you want? Then, check out the most important medical breakthrough in our time HERE! If you enjoyed this post, Easily Enhance Your Brain Health, Cognitive Learning and Retention, share and/or comment below!